Two Player Zombie Survival Madness Action Shooting Crazy Monkey Games Cooperative Click to find more games like this. 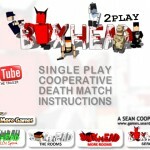 Your goal in this zombie shooting sequel from the Boxhead series is to shoot zombies and stay alive as long as possible. This part has a 1-player mode and lots of HUGE new rooms. 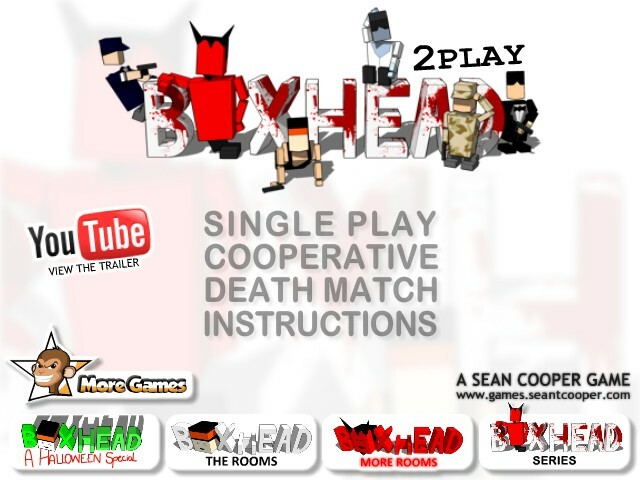 You can also play with a friend in Coop (fight with your friend against the zombies) or Deathmatch (make your friend the enemy) mode. Collect as many weapons and power-ups along the way and always, always keep that multiplier up! You earn more weapons, or upgrades for your current weapons by increasing your multiplier. Every kill will increase it by 1. The multiplier will go back down over time, and this speeds up depending on how high your multiplier is. Use ARROW KEYS to move and press SPACEBAR to shoot.